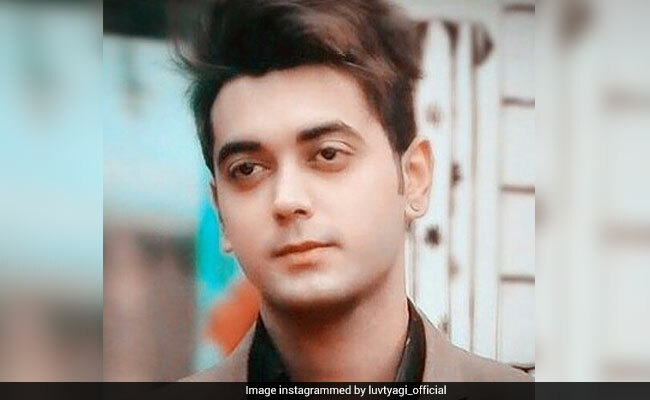 Luv Tyagi (non-celebrity contestant) got evicted from the Bigg Boss house in the recent Weekend Ka Vaar episode. After being evicted, Luv, who was called the 'lucky boy' of the house by host Salman Khan, spoke about his journey in the house. Luv told Indian Express: "I am definitely happy to have survived the game so long but yes sad that I couldn't reach the finale. There's a lot more that I could have done but since it's about votes, you don't know what will happen. There's a feeling of dissatisfaction but I am happy overall." Luv was nominated with celebrity contestants Hina Khan, Shilpa Shinde along with Vikas Gupta and received the least number of votes during the live voting activity that took place at a Mumbai mall. Of the live voting session, Luv said, "I don't think it was unfair as our fans were also present there. The fact that led to my eviction was that I was nominated against Hina, Shilpa and Vikas. I would have got a better chance if I was with Puneesh Sharma and Akash Dadlani." "At the mall I realised that I will not win the show but I have definitely won hearts and it's a great achievement for me. As for female adulation, I am blessed to be showered with so much affection," Luv added. Luv was called bail budhdhi (dumb head) by many contestants in the house. Even host Salman Khan also said that Luv did whatever Hina asked him to do in the house. "I was the lucky performer. Of course luck has been with me but I have equally worked hard. I think the amalgamation of both worked for me," Indian Express quoted Luv Tyagi as saying. Of other contestants in the Bigg Boss house, Luv said, "Everyone in the show right now deserves to win but if you look at the entire journey, I really think Shilpa has a strong chance" while Luv also said that Vikas Gupta made him look like a fool in the house. "He actually made me look like a fool and completely unworthy. So I had decided that I will prove him wrong anyhow," Luv said. Bigg Boss Season 11 finale will happen on next Sunday. Till then keep reading this space for more updates on your favourite show Bigg Boss.